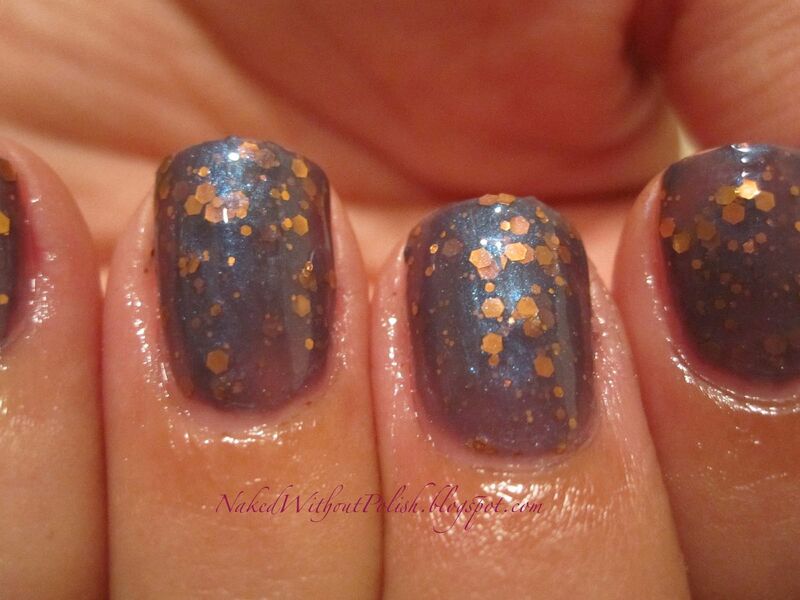 This is three coats of Stormchaser with OPI Natural Nail Base Coat and SinfulColors Over the Top topcoat. Seemingly bland in the bottle, Stormchaser really surprises you once it's on the nail. Even before you finish applying your first coat, you can see the flashes of turquoise appear. After the third coat, you've got a goofy looking smile on your face. The colors are all so perfect together. It's a cool and calming combination. 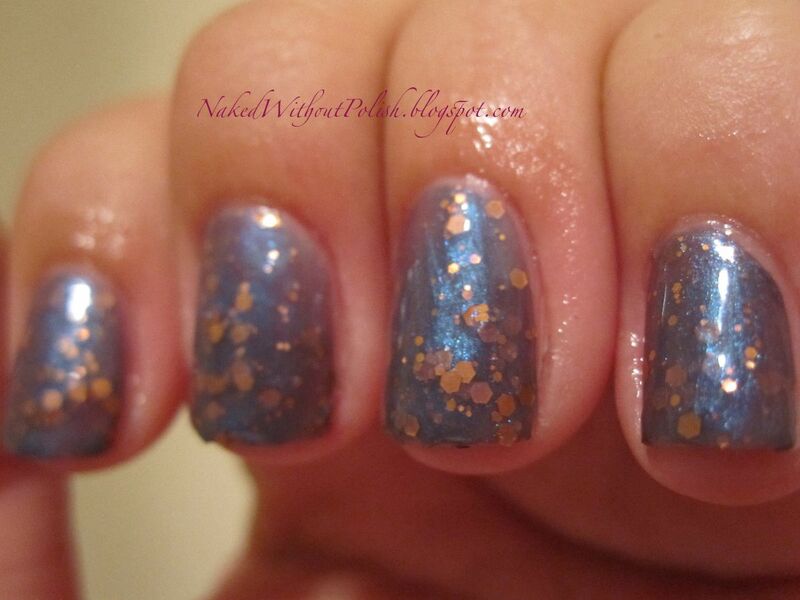 If you don't wait at least five minutes between coats, the glitter does tend to clump together. Wait the 5 minutes between coats and there should be no issues. 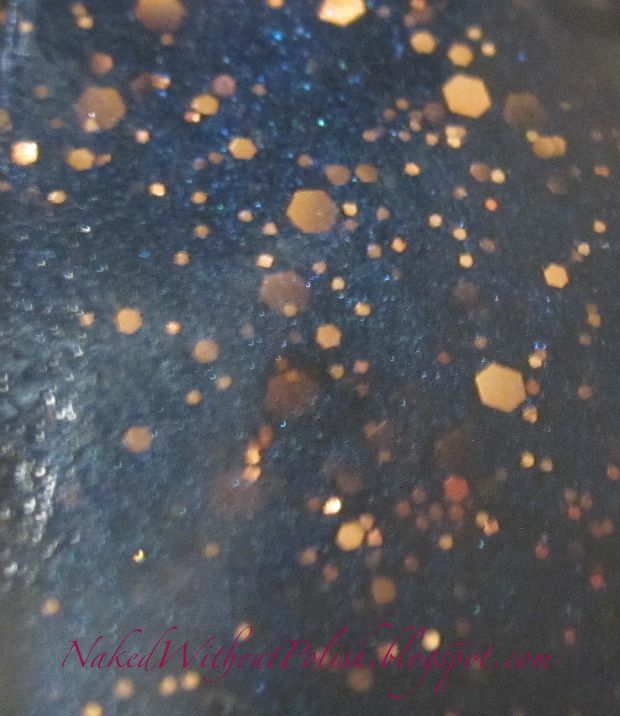 F5 The Motherload is a dark charcoal (almost black) gray base scattered with several sizes of copper glitter and some silver holographic micro glitter. 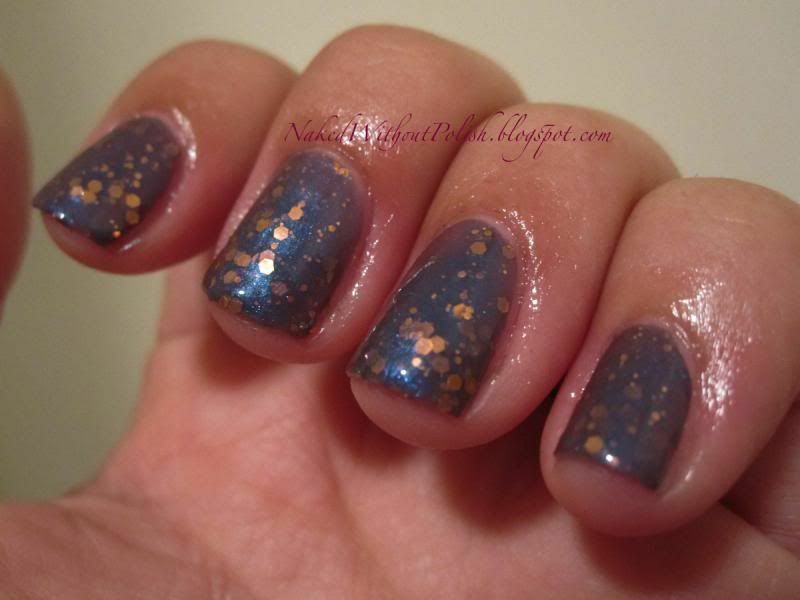 This is three coats of F5 The Motherload with OPI Natural Nail Base Coat and SinfulColors Over the Top topcoat. F5 The Motherload is so sparkly!!! If I saw a storm that looked like this headed my way, I'd run right into it! Praying, every step of the way, that I would be showered in glitter! Application of F5 The Motherload was a lot like Stormchaser. 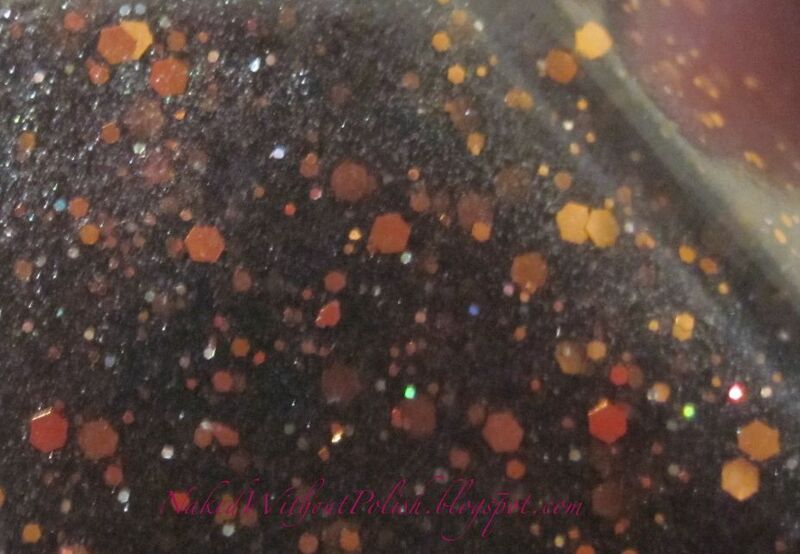 Time is needed, between coats, for it to dry so the glitter doesn't clump together. 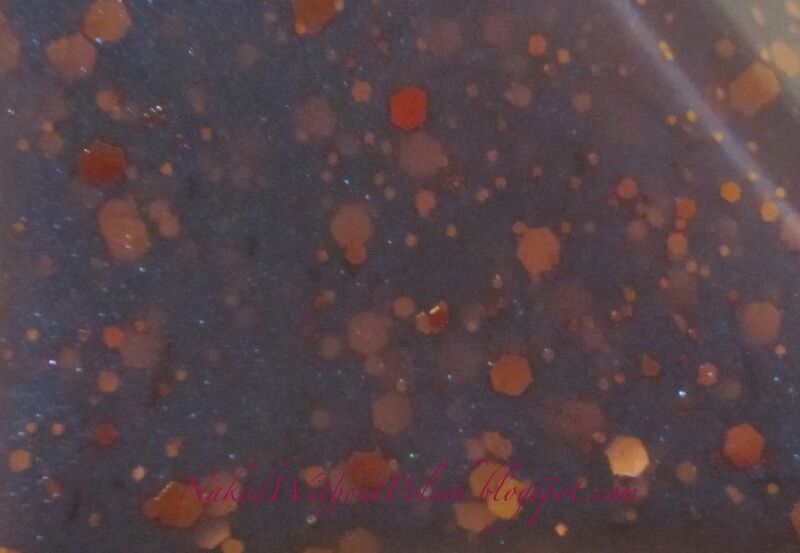 Doom & Gloom is a beautiful deep navy blue base with flashes of a beautiful turquoise shimmer and scattered with several sizes of copper glitter. 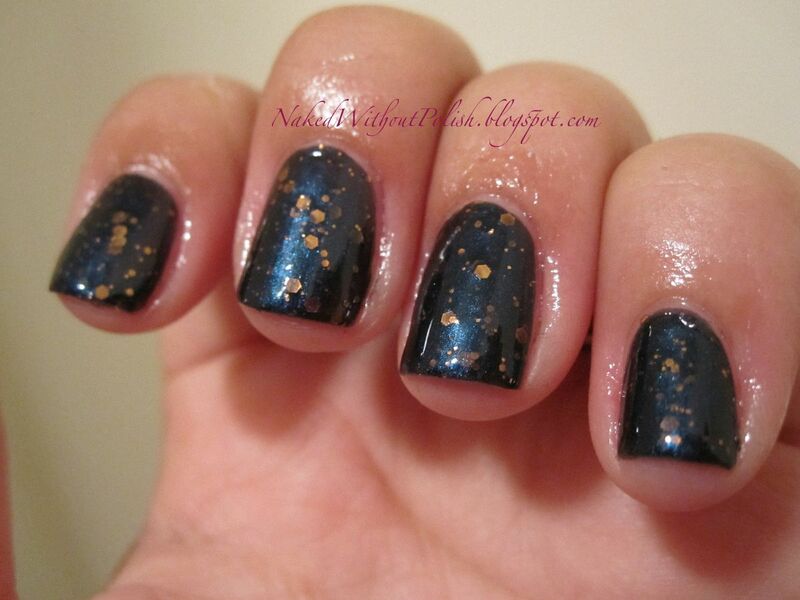 This is three coats of Doom & Gloom with OPI Natural Nail Base Coat and SinfulColors Over the Top topcoat. Doom & Gloom is absolutely mesmerizing. It's like watching the storm rolling in. Knowing that you should run and take cover, but you can't bear to take your eyes off this beautiful devastation headed your way. Application was flawless. 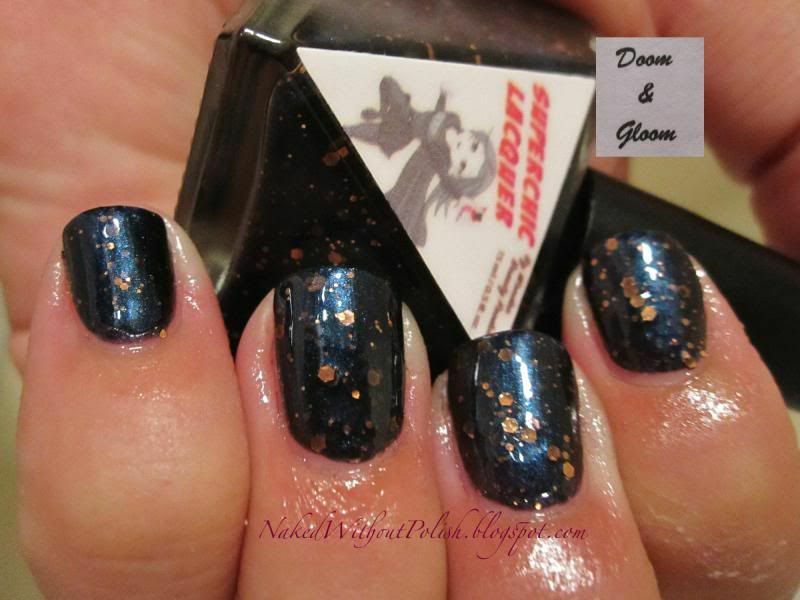 Doom & Gloom had a slightly thicker formula than the other two, there were no problems with the glitter clumping or anything. Definitely my favorite of the three. 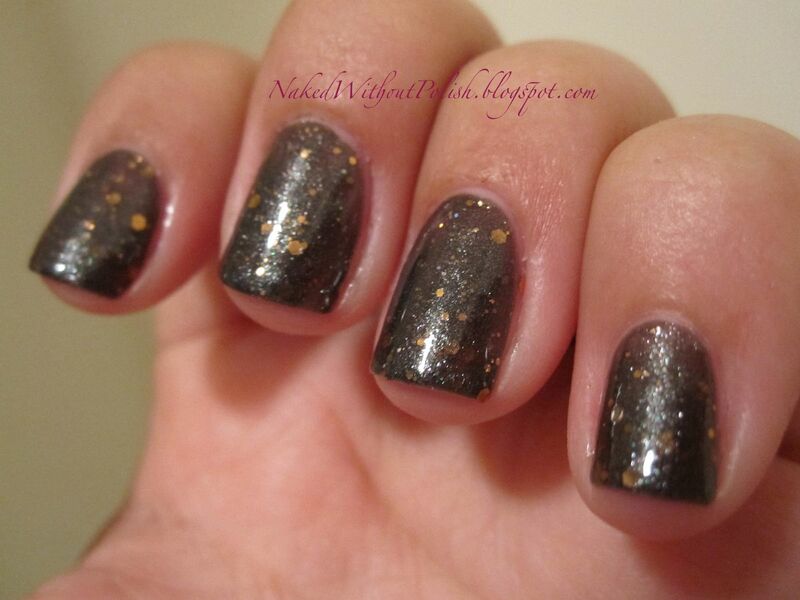 The Tornado Alley collection consists of five polishes. The other two are Vortex and Funnel Cloud. with these beauties on hand, I say bring on the storms! They are subtle and vibrant all at the same time. Each one is perfectly represents a different aspect of a crazy, life-changing storm. I'm seriously contemplating getting the other two. 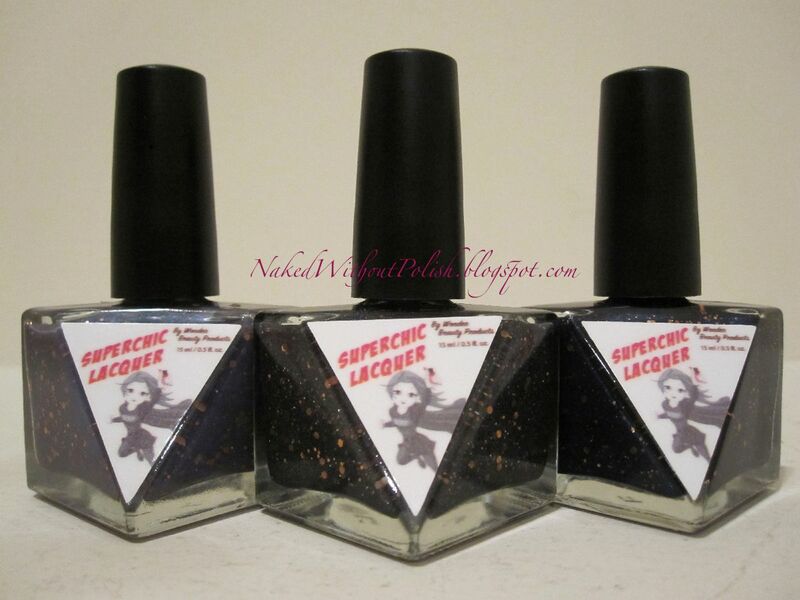 You can get any of the Tornado Alley polishes on Superchic Lacquer's ETSY shop for $10 a bottle or $45 for the whole set of five.